Today you can find my first "extra post" on A Blog Named Hero. I created some cards, using background stamps in different ways. 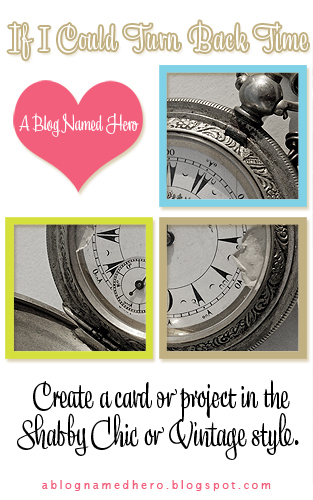 Here is one of the cards - you can find more cards, info and tips over at A Blog Named Hero. And don't forget to play along in our current challenge "If I could turn back time". 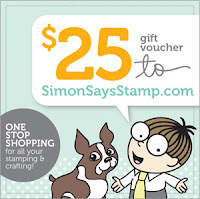 Our amazing Sponsor Simon Says Stamp offers a 25$ Gift Voucher to one lucky participant! LOVE, LOVE your post at A Blog Named Hero - just FABULOUS! ich darf doch in Deutsch kommentieren, oder? naja, kannst es ja durch den Translater schicken! Zauberhaft deine Idee mit den gestempelten HG_Blümchen! Wenn man das Thema liest, denkt man im ersten Augenblick total an was Anderes und wird dann von dir super überrascht! Gefällt mir! 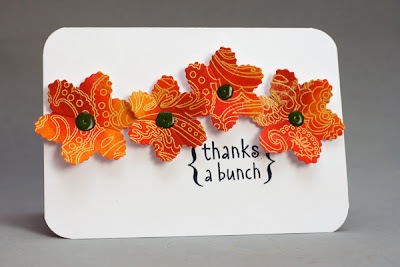 Love your ideas with background stamps! I'll give it a try for sure. I always love your cards, they are GREAT!